Stewartry had their first Hamilton Trophy win of the season on Saturday at Kirkcudbright against Ayrshire. A Shanks, W Mair, W Kirk, W True, I Dean, P Nicolson, J Peacock. Please note: The team will be reviewed on a week to week basis due to availability. Dates for 2018 Hamilton Trophy games. Overall Stewartry 95 v 158 Renfrewshire. 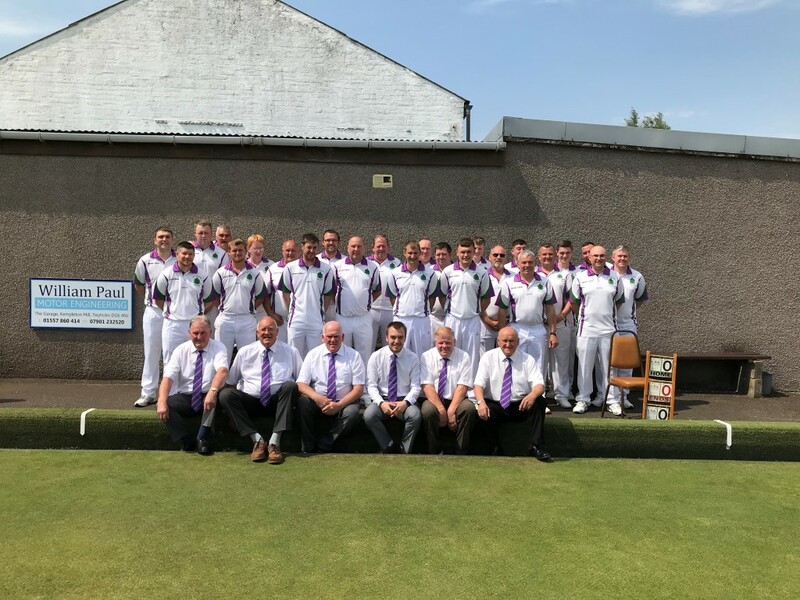 A very difficult day for the Stewartry team with not one rink winning away at Lanarkshire. There was still some good play from the team despite the heavy defeat and more than enough encouragement going forward. Next weeks game is again away at Kilbarchan and a coach has been laid on for travel, which has spaces for anyone who would like to travel for a day away. Cost is £15 and that will include a meal, names to club representatives by Tuesday night of possible, late spaces may be available up until Friday. The following list of players will all be considered for future games, since there are a number of players who are not available for all games. The names are in alphabetical order. M. McTaggart, J. Peacock, D. Shennan, K. Shuttleworth, B. Swales. Will all players please confirm they are available for first game against Wigtownshire at Castle Douglas on 13th May and make arrangements to pay your club rep for Jackets and Ties. Any of the reserves wishing to get a Jacket and Tie can also pay these to your club rep.